﻿ Stay Fit And Keep Boating! Stay Fit And Keep Boating! 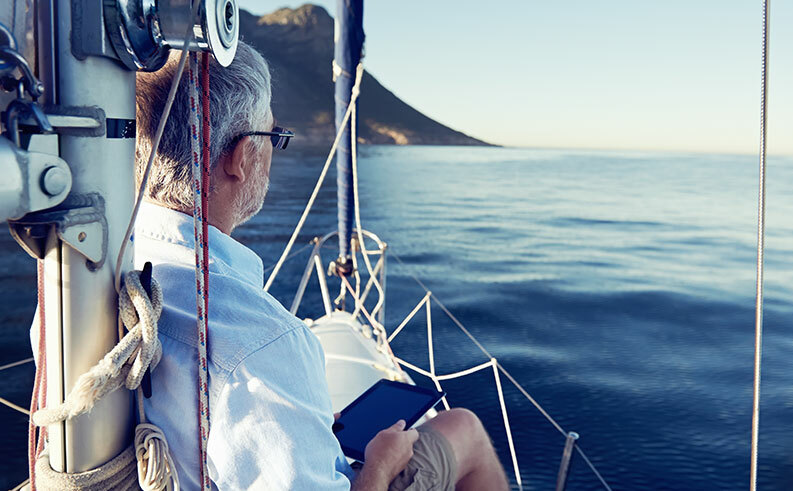 Most boaters know that getting your captain’s license or renewing your captain’s license requires a physical examination by a physician every five years. This works fine for healthy, fit and otherwise disease and illness free boaters, but not everyone fits into that wellness category. Many of us may be “at risk” or already have a diagnosed illness, like diabetes. Otherwise healthy, but a change in lifestyle would add to better health outcomes. We know now that there are many contributing factors to illness or disease and ways to improve our health on a regular basis. For example smoking is not only a risk factor for lung cancer but for heart disease as well. Our diet and weight are also factors in diabetes and heart disease. Limiting fats and carbohydrates in our daily diets, maintaining healthy weight goals along with regular weekly exercise are factors that can decrease health risk for any individual. Did you know that poor dental hygiene is an added risk for heart disease? The good news is that regular wellness visits to your doctor will aid you in establishing good health goals. Checkups such as annual physicals and blood screening tests for cholesterol are suggested at different intervals depending on age, family history and if a patient is diagnosed or symptomatic of disease or illness. Or if there is a history of cancer or disease in your immediate family (parents, grandparents, siblings or aunts and uncles). Did you know that prostate, colorectal and breast cancer run in families? Magazine ads often show today’s boater relaxed at the helm, smiling, enjoying life and that is as it should be! But we have to plan for the sudden demand for exertion whether sailing or power boating. You may be called to carry or assist another passenger who may be injured. Do you know your heart health status? Have you had symptoms like light headedness or dizziness, shortness of breath or chest pressure if you walk up more than a few steps? These are generally signs of an underlying health issue. Hopefully you won’t experience symptoms at a time when a maximum physical effort is needed. If you have symptoms like those mentioned above what should you do? The answer is that you plan a health visit or check up with your physician to evaluate your symptoms. Better yet, work with your physician to begin scheduling annual visits and regular exercise and evaluation before the first symptom appears. It is far easier to prevent illness and disease that it is to treat it. Plus your chances of a complete cure are better when you are diagnosed early and make adjustments in your lifestyle. 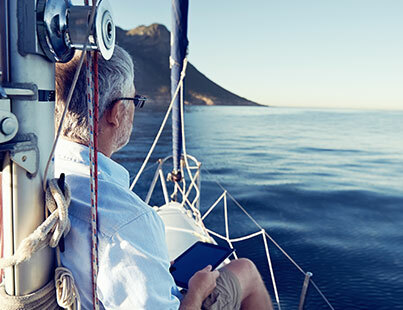 Having a wellness plan for charting the course to good health is as important as a current navigational chart that keeps you in safe waters.